Meet the newest dudes joining the Bad Boys world. 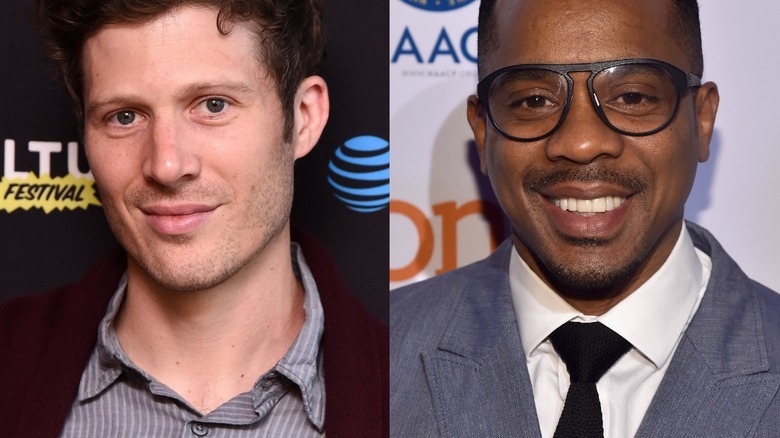 Per Deadline, Zach Gilford and Duane Martin have been cast in co-starring roles in NBC's upcoming Bad Boys spinoff pilot. The potential series, which has yet to receive an official title, stars Bad Boys film franchise actress Gabrielle Union as Special Agent Sydney "Syd" Burnett, who worked as an undercover operative with with the Drug Enforcement Administration (DEA) in Bad Boys II. In the pilot episode, directed by Anton Cropper from a script penned by Brandon Margolis and Brandon Sonnier, the free-spirited Syd feels invigorated in her new position as a detective with the Los Angeles Police Department. Her boundaries are tested when she's partnered with Nancy McKenna, a working mom whose personal life and professional outlook are completely opposite to Syd's. Ultimately, however, the pair put aside what makes them different and capitalize on their similarities to crack cases and catch criminals. Gilford is set to play Ben Walker, a homicide detective with the LAPD who's described as a "smart man with a smarter mouth" with a family who comes from money. Martin portrays the equally smart and even more competitive homicide detective Ben Baines, who is paired up with Gilford's Ben Walker. The two characters are collectively referred to as "the Bens." In addition to sharing scenes with Union, Gilford and Martin join Ernie Hudson, who was recently cast as the father of Union's character. Many will recognize Gilford from his big-break role on Friday Night Lights, but the actor has been busy in recent years as well. Gilford currently recurs on NBC's drama Good Girls, and previously appeared on The Family and in Sundance Now's This Close. As for Martin, whose credits include All of Us and Rita Rocks, he recently popped up on the hit miniseries The New Edition Story.